Hey everyone! I am giving away an ARC of The Selection by Kiera Cass. 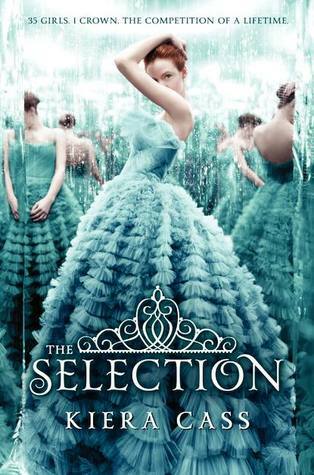 If you haven't heard of The Selection, it's about thirty-five girls who compete to marry Prince Maxon. The book is told through America's point of view. She's hesitant about the competition, especially since the boy she loves is a class below her and therefore unworthy. As the competition continues, she begins to slowly fall for Prince Maxon and starts dreaming of a world unlike any she has ever known. I like to think of it as The Bachelor meets Cinderella. To enter, all you have to do is fill the Rafflecopter form below. I will be checking the comments, so be sure to leave a comment about what you would do to grab the prince's (or princess') attention if you were in a competition for their heart. This giveaway is only open to US participants and will end April 18th. Good luck, and may the odds be ever in your favor. I wouldn't try to put on airs or do anything different. If the Prince couldn't see how awesome I was with just being myself, then he wasn't someone I'd want to be with anyway. I'd walk up and introduce myself. I mean, I'd be right in front of his face, he'd notice me. I would most likely be myself. Who wouldn't like that?! I'm really shy, so it definitely wouldn't be easy for me. I guess I'd try to be myself. If he doesn't like me for who I am, then I guess it wasn't meant to be. I figure that most girls would be trying to outdo one another in glamor and appeal, so I'd be myself - plain, conservative, shy, and bookish. figure out what he likes! I would be myself because I wouldn't want to win the prince over just for him to find out I was never who I said I was. If I was in a competition, I would be myself with the prince. I seriously don't think I could do this but if I had to - I try to be myself and find his weakness. Cooking might help - that's one thing I do well. I would have him dress down and spend the day as a "commoner." We would spend a day just being ourselves without all the hype. I would just be myself. He would love my sparkling personality! Hmm, I don't have cooking skills or anything like that, but I'm artistic. So maybe make something for him...? I've always been way too shy when it comes to that! I honestly don't know what I'd do. I would bake him something he likes for example cupcakes because who doesn't love cupcakes! I think at the end of the day, the best way to get the Prince's attention is to just be myself. In the end, the prince won't pick me becuase he's impressed by me, but becuase he likes being around me. I have no idea! I was so shy I don't think I would have even entered. Maybe I would have been a maid or something and caught the prince's eye. Thanks for the chance to win. I would just hope that we had some common interests and he would fall in love with me by having a good talk and doing something we both enjoy! 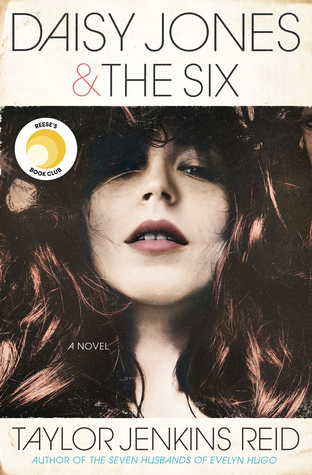 I want to read this book so bad! Thanks for the awesome giveaway! I think the best thing to do is be yourself, be real because if role switched and I was in that spot I would look at the person that I can see truly showing themselves and not playing a game or using tricks to grab my attention. Can't wait to read this book. Looks great! Okay, this is kind of a lame answer, but I don't think I'd do anything other than be myself. Otherwise, really, what's the point of getting him/her when it's based on anything else? I would try to become friends. Like just sit and talk and get to know each other. I would just be myself and hope that we were a match. Hi everyone! I was just wondering if you could come visit my writing blog; I'm in desperate need of reviews and opinions. I would act totally uninterested. Then maybe I would stand out from the others. Impress him with the way I read really quick! I'm made of awesome, so I'd be my awesome smart self. Oh my gosh, that's a hard question. I think I'd ask him a lot about himself, because I think the other competitors would be trying to talk a lot about themselves. hmm pretty hard since i don't really go running after guys to get their hearts, i would just be myself to be honest. I would try to be myself and not all up in his face because that would be annoying! I would wear pretty clothes and makeup and just be myself. I also heard that being confidant with yourself gets their attention too so I would do that as best I can. This is awesome! Thank you so much for hosting this! I've been looking everywhere for a chance to win one of these! I would try my inner-suave skills and introduce myself. I would just be myself, if I had to act differently then he wouldn't want me for me, and then I wouldn't want him anyway. I would just be myself! I wouldn't want to be with someone who didn't like me for me. I hate pretending to be something I'm not so I would just be myself. I'd probably be myself, first. I would also wear a black dress that stood out with all the other happy colored dresses the girls were wearing. I'd be different & unique, someway. Thanks 4 the giveaway. Really want to read this book! I would be myself and really find out if we would be a match. I just came across your blot and I really love it already! I can tell that I will be visiting a lot. Amazing giveaway btw! Go up to him, give him a rose and introduce myself. I would introduce myself to him and ask him about his favorite book. To grab his attention? I'd probably join him in something he liked. Ex: if he liked basketball, I'd join a game! But that's just to grab it. If I didn't hold his attention, then I would just leave the competition, haha. I get very quiet when I am unsure about something, which if you knew me, is very weird. So, I would say that I would probably hang back from the other girls clamoring to get the prince's attention. When it was my turn to talk to him, I'd just try to get the lump out of my throat and be myself. Be creative, imaginative, and original! Amaze him with uniqueness and imagination and cleverness! Honestly, probably nothing. I'm REALLY shy. I would try to be myself. Anything else would lead to a lifetime of work trying to maintain the facade. I've been dying to read this one! The cover is gorgeoussss. Thanks for the giveaway! I would just try to be myself. There is only so much you can to do to attract attention so if they don't notice you then so be it!! !